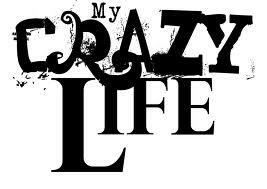 Well here we are again talking about My CRaZy LifE!!! I am not really trying to make this a daily post but I just have to tell you this one thing! Now I have to be a little sneaky on this one. So while I tell this story I am going to keep saying “my secret friend”. Now this does not mean I am having an affair……geesh people get your head out of the gutter! This secret has to do with I don’t want you to know who I am talking about in the story kind of secret friend. So here is the story…. So me and my secret friend (see there it is!) and my two kids where headed around town and Alicia says “Mom. Can we go to Dairy Queen?” So my secret friend said yes we can go to Dairy Queen. Immediately I start to cringe…..Oh no! Not Dairy Queen…Every time we go to Dairy Queen with Secret Friend I almost lose my mind!! Secret Friend has a problem saying sundae…. They pronounce it sun-duh. Now most people might not notice something like this but for some reason for me it has turned into one of those I have tears rolling down my face and I can’t stop laughing for anything and secret friend either has that hurtful pout on their face or maybe it’s just a what in the world is she laughing at look. I have no idea really what secret friend is thinking. All I know is the dreaded sun-duh moment is coming and I have no idea what I am going to do!! So here we go into the drive-up and I am trying to not listen so I busy myself digging threw my purse and trying not to pay attention. Then I hear it…..I need a carmel sun-duh and a….. oh no!! The giggles are coming but I am holding them back!! Still trying to dig in my purse….and I hear the person on the intercom say “Did you say a Mooola-tah?” in the most confused voice ever. To me that was all it took! I am crouched down in the seat and I can’t stop laughing…..tears are rolling down my face and my whole body is shaking and if anybody walked by you know they would think I had lost my mind! Really? A grown woman like me acting like that!! Then Secret friend starts laughing and my daughter starts laughing. Now secret friend is trying to place an order and we are all laughing. (I hope secret order taker person didn’t think we were laughing at her because really we don’t want to make the people mad that are making our food!! That’s a whole scary blog post in itself!! Now on the way out of town while we are eating our sun-duh’s I keep having these fits of uncontrollable laughing. I really don’t know what is wrong with me. I am not sure this is normal for anyone but I don’t really care either because I am having fun and that is what really matters!! I just hope secret friend thinks it’s funny too!